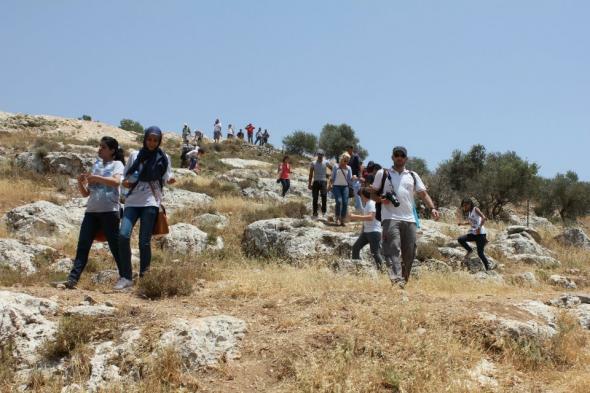 Around 160 Palestinian youths attended a day of voluntary activities in Wadi Qana, a valley in the Salfit district. 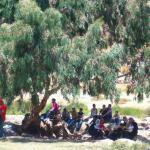 Stop the Wall called for this activity in order to carry out environmental and agricultural work for the benefit of the Palestinian citizens and the surrounding landscape. Israeli Occupation Forces (IOF) closed the valley to prevent more volunteers from reaching the valley. They also tried to stop the work by volunteers who had already entered the valley, but the young people insisted on completing the work they came to do, which itself is a response to the ongoing illegal construction of the wall and settlements, the restriction of movement and repeated attacks which the IOF and settlers are guilty of. Wadi Qana, located close to the village of Deir Istiya, was one of the first areas in the West Bank to be ethnically cleansed of Palestinians after the Occupation began in 1967. Considered one of the most beautiful spots in Palestine, it has had its nature devastated and polluted by the Israeli settlement project. Once famous for its lush nature, eleven natural springs and fertile agricultural land, the valley spans around 10,000 dunams planted predominantly with citrus trees. Before the occupation the springs of Wadi Qana served as the main water resource for agricultural, animal and human needs in the area. 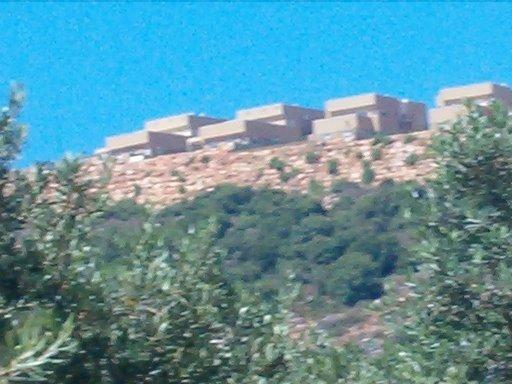 Today, however, Wadi Qana is almost completely isolated by the Wall and is surrounded by 9 settlements with a total population of over ten thousand settlers. Most of its springs are unusable because of the pollution caused by the untreated waste and sewage water that is pumped into the land and water reserves from these settlements. Until 1986, around 350 people used to live in the valley. Most of them were forced to leave, through home demolitions and harassment, and live now in the nearby village of Deir Istiya. The ruins of their houses are still visible beneath the Karnei Shomron settlement.